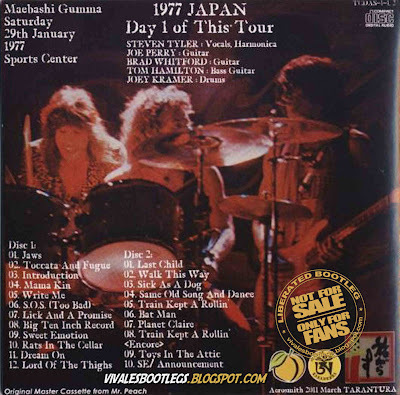 Recorded Live at Maebashi Sports Center , Gunma , Japan - January 29, 1977. Excellent Audience Recording (by Mr.Peach) :: Silver CDs :: MP3 CBR 320 kbps & FLAC. Files: 22. :: Size: 185.97 MB (mp3) | 621 MB (flac). Personnel: Steven Tyler : Vocals, Harmonica :: Joe Perry : Guitar :: Brad Whitford : Guitar :: Tom Hamilton : Bass Guitar :: Joey Kramer : Drums. 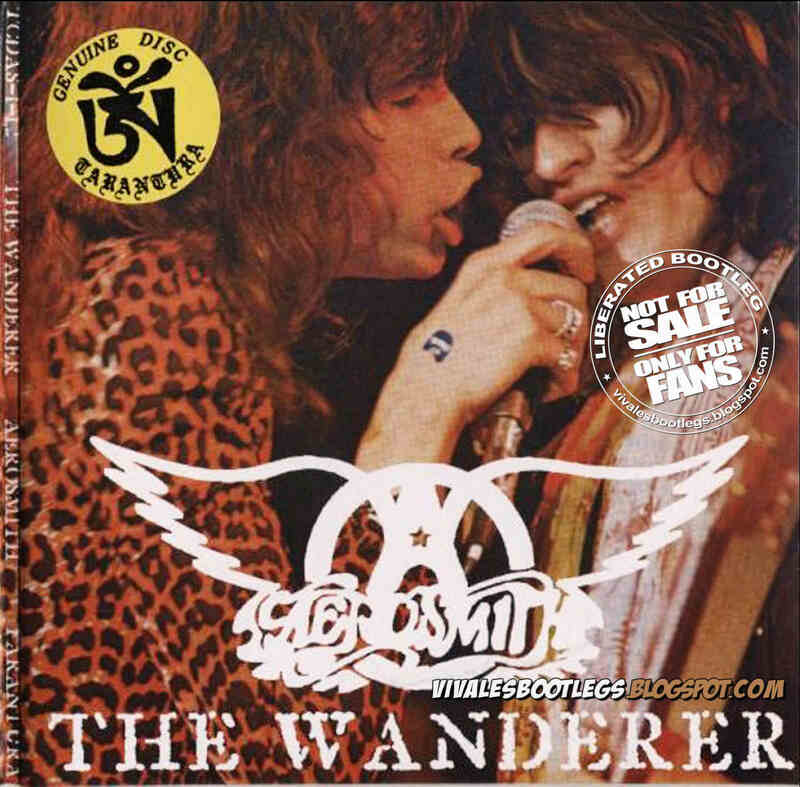 Notes: The Wanderer from Tarantura documents Aerosmith’s first ever concert in Japan. The first date of the Japanese Tour was originally scheduled for January 28th in Tokyo but was cancelled due to unknown reasons. Aerosmith January 29, 1977 Gumma, Japan/Maebashi Sports Center [2CD/newly surfaced/complete AUD] "The Wanderer". Alright Aerofreaks, here it is! 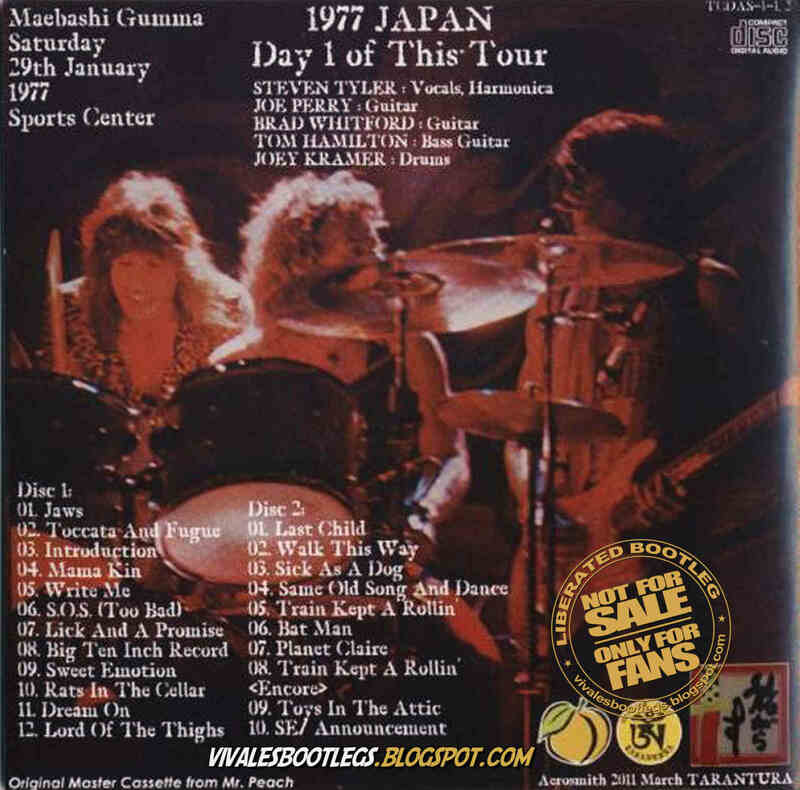 I believe this to be a newly surfaced recording of the bands first night in Japan on January 29, 1977! Released by Tarantura in 2011, this recording was made by the inimitable Mr. Peach. I beleive that bits and pieces of this show have surfaced over the years, but never in this quality or this complete. Original Source Boot Silver>EAC>WAV>FLAC(Lv8)..<-(Info taken from original nfo file). New files added. Reupload done. Regards.